While it may seem daunting, translating a website can be a straightforward process. 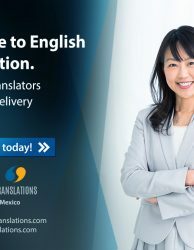 One golden rule to keep in mind is that your target audience must be able to connect with your translated website at emotional and psychological levels. If you’re doing business in Canada, what is the best way to connect with your Canadian audience? Should you keep your website in English? Or should you translate the website to French too? If you decide to translate the website to French, then note that Canadian French is different than the French from France. 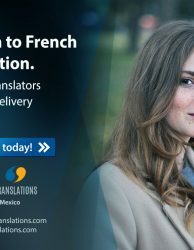 Your approach should be driven by what enables your target audience to connect with your translated website emotionally and psychologically, and ultimately with your company’s brand. Anything short of it will result in wasted time, money, and effort. What should you do if you’re doing business in United Kingdom. They only speak English there so how would you go about translating your website for UK? Less confusing examples might be if you’re wanting to translate your website for China, Japan, Korea, France, Germany, or Italy. In these cases, should you keep the same English website for all countries? Or should you translate just the website copy for each country and leave everything else (graphics and color scheme for instance) the same? Many more questions like these have gone through your mind about this subject. Well, in short, if everything is managed correctly, the entire process can go very smooth. Website Copy – Translating select pages/parts of a website should be a given. But did you know that translating 100% of the visible copy is the best practice? Some companies go as far as translating their case studies, product manuals, user guides, etc. to provide the best possible user experience for their target audience. If your target country speaks 2 languages, such as Canada, it is best to translate copy into both languages. If that is not doable, then select the language that has more speakers in the country. For Canada, you would keep the English text as is and translate it also into Canadian French. For China, you would do Simplified Chinese and/or Traditional Chinese depending on your target area in China. For India, you would select the top 3 to 4 languages, such as Hindi, Tamil, Malayalam, and Gujrati to translate a website. Color Scheme – Utilizing the right color scheme for your target audience is one of the best things you can do for your localized website. Just because a certain color sticks out in the USA, doesn’t mean that it will also stick out in other countries. 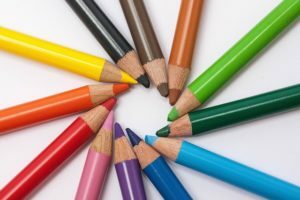 Take the time to research the color preferences of your target audience. Then, decide what colors will best represent your brand as well as what colors will best stick with your target audience. While the color scheme is not as critically important as the copy, it is not far behind. 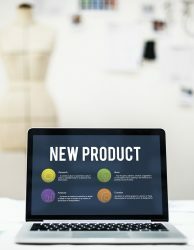 Your localized website’s ability to connect emotionally and psychologically with target audiences might be the difference between success and failure. Navigation Features – Efficiently navigating a multilingual website is quite different than navigating a unilingual website. For one thing, you don’t have to worry about how you should enable the visitor to access the other languages on your website. For example, should you put the links at the top? At the bottom? Should you create a drop-down menu? Should you just display flags? If your website visitor needs to switch between languages, how tedious is that going to be? Don’t take these questions lightly. They’re important to your target audience. We address these and other similar questions in our Navigation: Localized Websites post for your reference. Graphics – This one is a little bit tricky to address because a lot of multilingual websites we have analyzed (greater than 75%) did not localize their graphics. But, for all intents and purposes, it is a good idea to localize at least some of your graphics to enable a positive user experience. 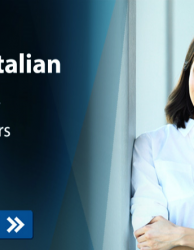 Another advantage to localizing at least some of your graphics is that you will have an opportunity to change the ALT TEXT keyword that is relevant to your target market. This will result in additional organic website traffic. We address this in detail in our Do Website Graphics Need To Be Localized post for your reference. 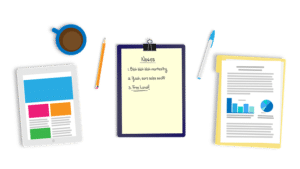 Search Engine Optimization (SEO) – If SEO is considered the holy grail for generating organic leads in the USA, then know that SEO is just as popular, if not more, in other countries. There really are no short cuts when it comes to generating organic search engine placement – a lot depends on integrating your keywords into your website copy and correctly associating those keywords in your graphics’ ALT TEXT setting. The main thing to keep in mind is that your localized website copy should have your preferred keywords in there for better search engine placement. In example 1, you’d have to register the domain name in France and host it with a reputable hosting company in France. Issues related to country specific laws about domain name registration will come into play. 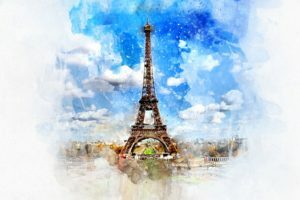 In examples 2 & 3, you’re essentially more in control in the sense that you’re not relying on France to host your domain name once you have the website elements localized. But, if your existing website is hosted in the USA, then your target audience in France may experience slow website load times. Overall, there is some planning to take into consideration, but the process doesn’t have to be complicated. Take your time to organize and plan things out, and don’t overlook even the smallest of factors. EPIC Translations has more than 12 years of experience with translating websites, and we are here to assist you if needed.